Fleet: Right-sizing the document output fleet to actual business needs, providing optimal business process and fleet support, and establishing continuous optimisation ? balanced with minimal cost of ownership and environmental impact. Process: Analysing all business-relevant document flows in order to increase productivity, to benefit from saving potentials and design, to implement and operate a solution tailormade to meet your precise daily needs. Finance: Offering different purchasing and leasing options as well as various contract models, and integrating existing contracts into a single transparent financial plan. Security: Designing and implementing IT and information security solutions, from user authentication and data-safe hard disk handling of disposed devices to complex network security requirements. Green: Supporting a company’s sustainability goals by implementing the most environmentally friendly document-related hardware and business workflows, and through the subsequent monitoring and assessment of environmental performance throughout the lifecycle. 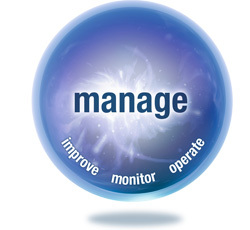 The OPS concept is based on a three-pillared approach: Consult, Implement and Manage. 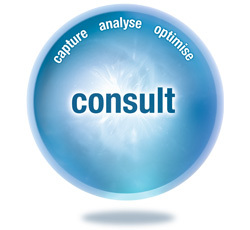 All improvements resulting from OPS Consult are based on defined consulting procedures and powerful analysis tools allowing customers to understand every single step on the way to a tailor-made solution. Capture: Software-based identification of existing print assets, precise monitoring of the current utilisation patterns and printing volumes. User interviews to detect specific document workflows, individual needs and service-level demands. Analyse: Precise TCO calculation with benchmarking against average market costs. Detailed analysis of needed and recommended print services to meet document-based business process requirements. Optimise: Designing a print environment that fits each organisation’s business needs through analytics and visualisation via comprehensive floor plans. OPS is more than just installing a new print solution. 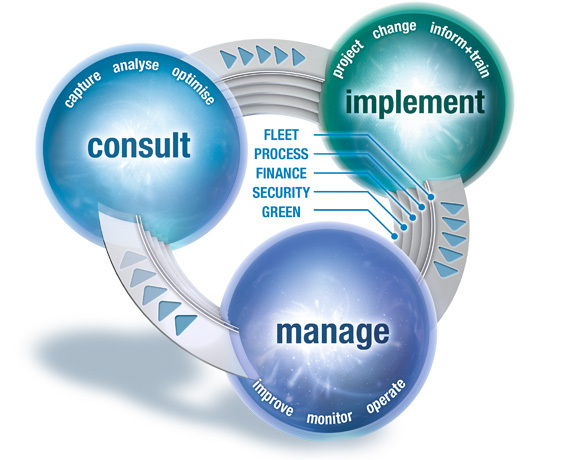 It provides change management based on the customer requirements. This includes dedicated project management in accordance with recognised standards as well as support for appropriate involvement of stakeholders and users. Companies benefit from the strong direct organisation and the experience of a market leader. Project: Dedicated project management resources, organised and controlled processes from start to finish. Change: Delivery of all products, licenses and consumables for a pre-determined and agreed upon testing period where Konica Minolta provides technical consulting and remote support. Roll-out management where appropriate due to the size of the project. 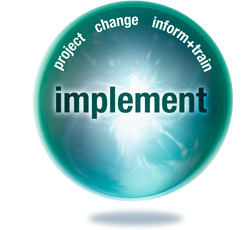 Information and training: Provision of detailed documentation for users and administrators. Standard or tailor-made internal promotion material and events. Tailored training to key users and internal support staff. After having tested and established the new print infrastructure, OPS offers a scalable portfolio of services to run and manage the fleet. Tailored to individual requirements, these can complement existing IT services or take over full operational responsibility. Operate: Proactive service, remote and on-site, automatic delivery of consumables and replacement parts. Monitor: Continuous supervision of all networked and locally attached devices to monitor the machines’ utilisation, status and alerts. Improve: Regular management reports, review meetings, and active searches for further improvements and optimisation. Discover your potential for profit through Konica Minolta Optimised Print Services! All in all, the Konica Minolta Optimised Print Services package combines expert support with detailed individual optimisation design and management for a smooth transition, not only to help companies install their optimal printing infrastructure, but also to operate it in the most efficient way. That’s the road to continuous reduction of TCO, direct and indirect, to minimal risk and interference with daily business operations, and maximal control. In order to read PDF files, you must have the Adobe Reader installed on your system. To download this program free of charge, please use the link on the right.